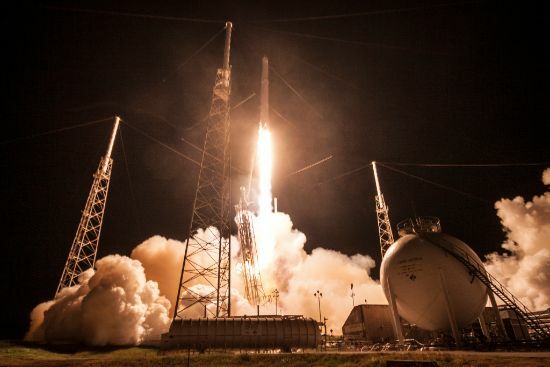 SpaceX fired up its Falcon 9 rocket on Saturday in a last critical test ahead of a midnight hour liftoff on Monday from Florida’s Space Coast to send the Dragon SpX-9 spacecraft into orbit for an important cargo-delivery mission to the International Space Station. 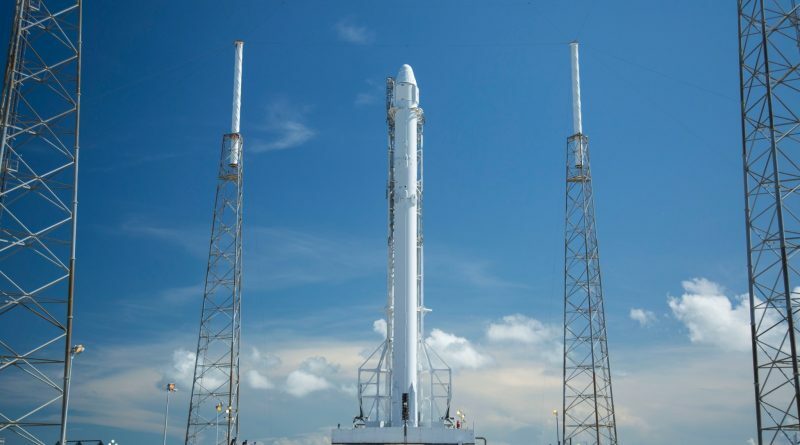 The powerful Falcon 9 rocket will light up the Space Coast skies twice, first when lifting off from Space Launch Complex 40 at 4:45 UTC and again eight minutes later when the first stage will be inbound for a vertical, rocket-powered landing in Landing Zone 1, a few Kilometers south of the launch pad in another attempt to perfect the recovery of SpaceX’s rocket stages. 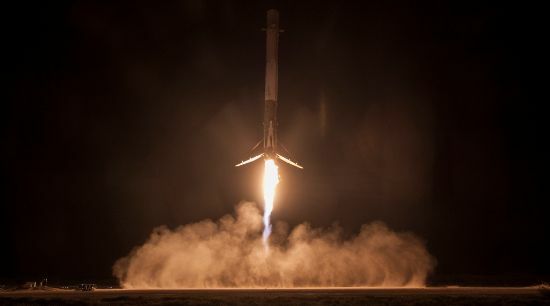 The booster’s return to an on-shore landing will mark the second time SpaceX attempts a recovery on land following last December’s successful Falcon 9 landing after dispatching 11 Orbcomm G2 satellites into orbit. All other first stage landing attempts have used the Autonomous Spaceport Drone Ship stationed in the Ocean, well away from the coast line. Returning the first stage to land is only possible in missions where Falcon 9 has surplus propellants to reverse its direction of travel. Other missions, requiring a higher performance from Falcon 9, only have small fuel reserves and need the drone ship to be placed downrange from the launch pad to catch the first stage. Ocean-based landings are considered to be more difficult given the motion of the small drone ship the water and possible positioning errors. 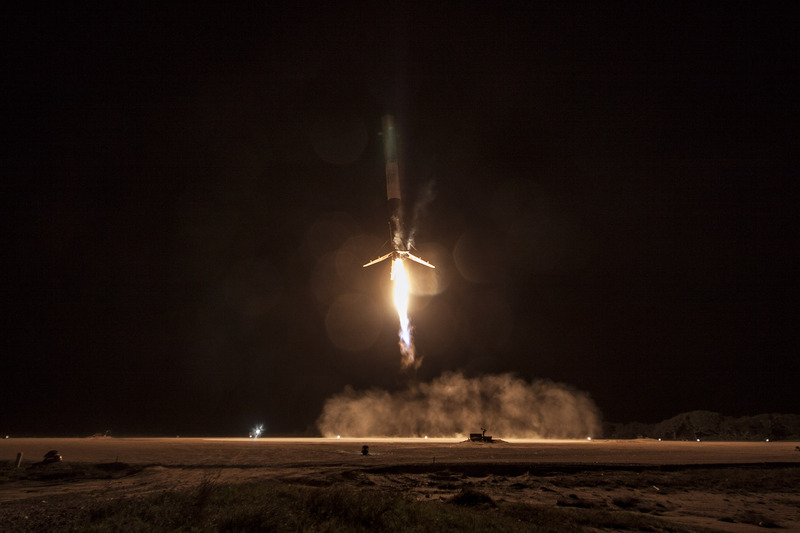 Last December’s rocket landing provided quite the spectacle to those who gathered along the Space Coast to watch spaceflight history in the making. Sonic booms signaled the rocket’s arrival before the bright exhaust from the booster’s center engine could be seen in the sky, falling toward the sea-side landing pad. 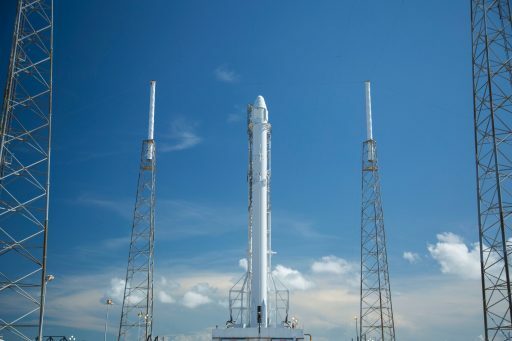 SpaceX warned Space Coast residents that sonic booms will again be heard Sunday night on the rocket’s inbound leg to landing. Between December’s successful landing on shore and Monday’s attempt, SpaceX launched six Falcon 9 rockets, all of which tried to aim for a landing on the Drone Ship. After a bit of a learning curve with two failed landing attempts, SpaceX nailed three successful touchdowns in a row in April and May. The most recent landing attempt in June managed to reach the Drone Ship but landed hard and tipped over. 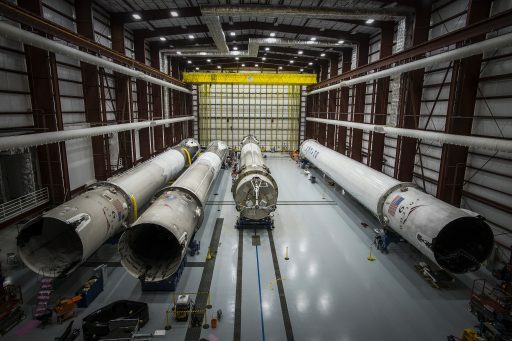 SpaceX plans to fly a used Falcon 9 first stage again later this year while another that is not going to be re-flown is put through a string of static fires and component testing to verify the rocket’s structure can withstand the rigors of climbing to space a second time. Monday’s launch will be the 27th flight of the Falcon 9 rocket, the seventh of the Falcon 9 FT configuration and the ninth operational mission of the SpaceX Dragon. 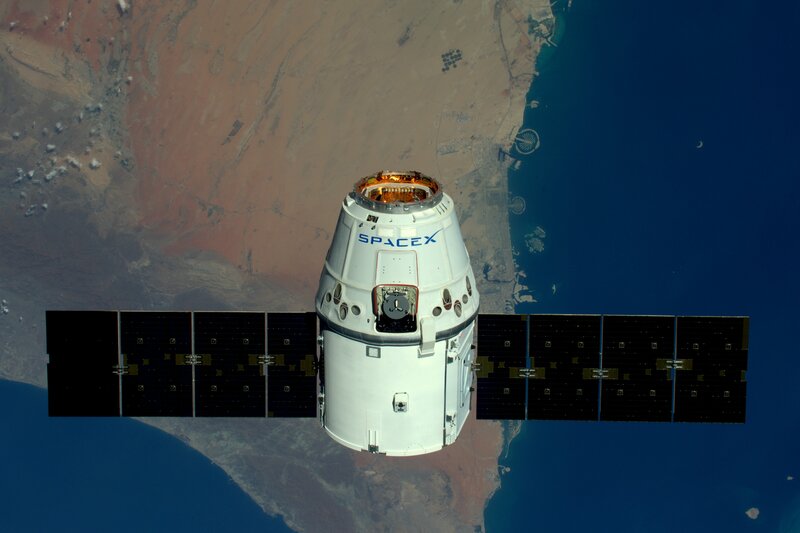 SpaceX currently holds a contract for 20 Dragon missions under NASA’s first round of Commercial Resupply Services. 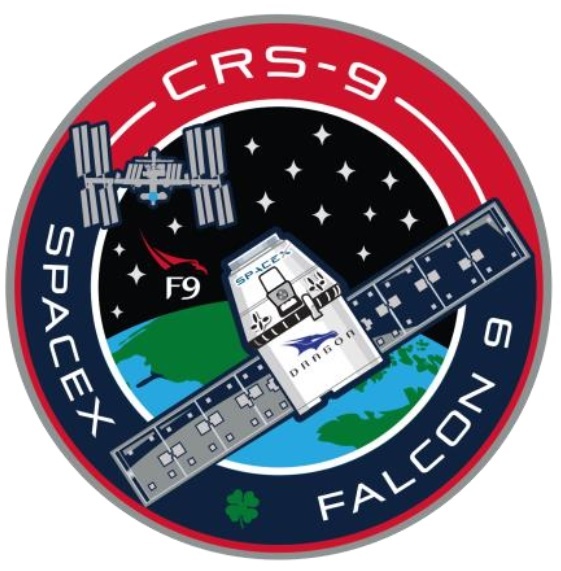 The agency booked at least another six Dragon flights under CRS-2 to cover the Station’s cargo needs from 2019 through 2024. Dragon SpX-9 is loaded with 2,257 Kilograms of cargo headed to ISS and its six crew members. 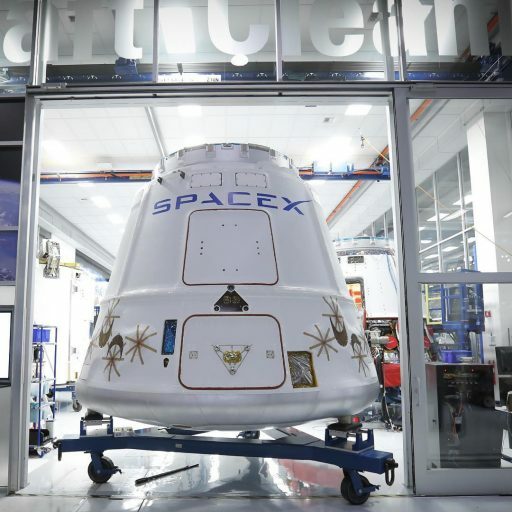 The mission is of particular importance because riding in Dragon’s Trunk Section is International Docking Adapter 2 – a critical piece of hardware to be installed on the Station’s Pressurized Mating Adapter to enable Commercial Crew spacecraft to dock to ISS. The first IDA was lost in the Dragon SpX-7 launch failure in June 2015, placing some pressure on IDA-2 making it to ISS to ensure the Station will be ready for the first test flights of the Commercial Crew Vehicles in late 2017. IDA-3 is being manufactured from spare parts to be ready for flight next year and give ISS two docking ports for Commercial Crew vehicles. IDA-2 will be removed from Dragon’s Trunk by the Station’s robotic arm and its installation on Pressurized Mating Adapter 2 on the forward-facing side of the Harmony module will be finished during an August 18 spacewalk by Expedition 48 commander Jeff Williams and Kate Rubins. Loaded into the Dragon capsule are 930 Kilograms of science cargo including experiments to sequence DNA in space, a novel heat exchanger for in-space testing, studies looking at bone loss & muscle degradation in space, and several payloads to be moved to the exterior of ISS for testing of commercial electronics in the space radiation environment and a new type of solar cell that can generate power even when not directly facing the sun. Furthermore, Dragon delivers 370kg of crew supplies including food, clothing and hygiene supplies, 127 Kilograms of spacewalk hardware and 54kg of Russian cargo. The Dragon SpX-9 spacecraft departed the manufacturing plant at SpaceX HQ in California in mid-May for its cross-country trip to Florida. 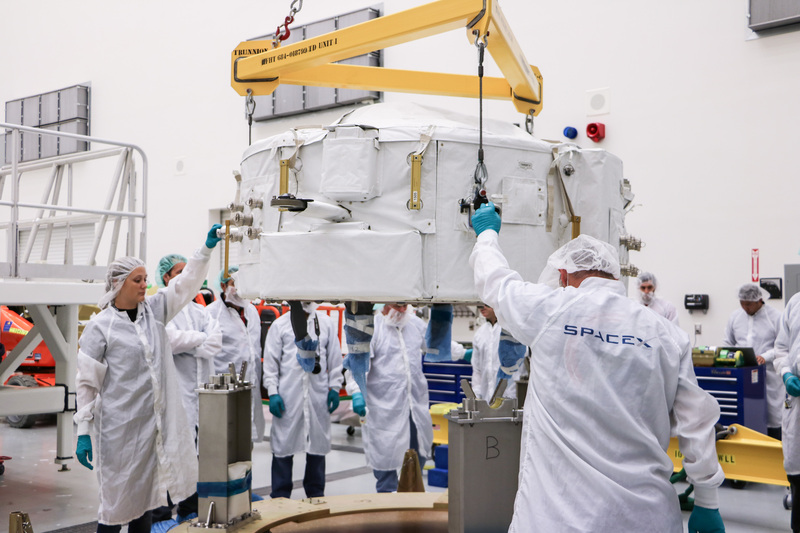 At the Space Coast, Dragon was loaded with cargo and fueled for flight before being mated with its Trunk Section that already had IDA-2 installed in its payload accommodations. The next step was the installation of the Dragon spacecraft on its Falcon 9 rocket which arrived at the Cape in late June after the typical trip from California with a stopover in Texas for static fire testing. 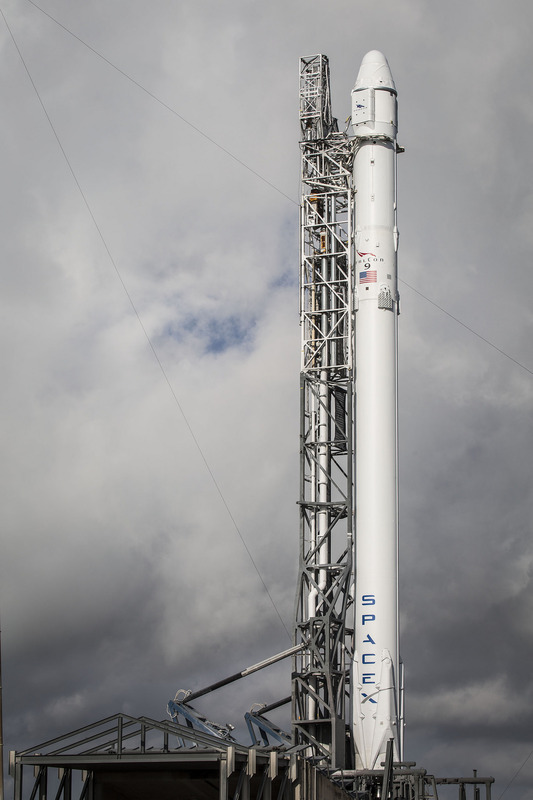 Falcon 9 was pulled out of the hangar Friday afternoon and placed in its vertical launch position before dark to set up for the Static Fire Test on Saturday, initially expected in the very early hours but pushed back later into the morning. The test took Falcon 9 through a typical countdown sequence down to the T-35-minute mark where the Automated Sequence kicked in to put Falcon 9 through the now standard fast propellant loading sequence. Loaded with over 500 metric tons of supercold propellants, the 65-meter tall Falcon 9 headed into the business end of Saturday’s mock countdown, going through the critical steps of the Automated Countdown Sequence that have to be executed to perfection on launch day since Dragon missions only have an instantaneous launch window with no room for any delays. 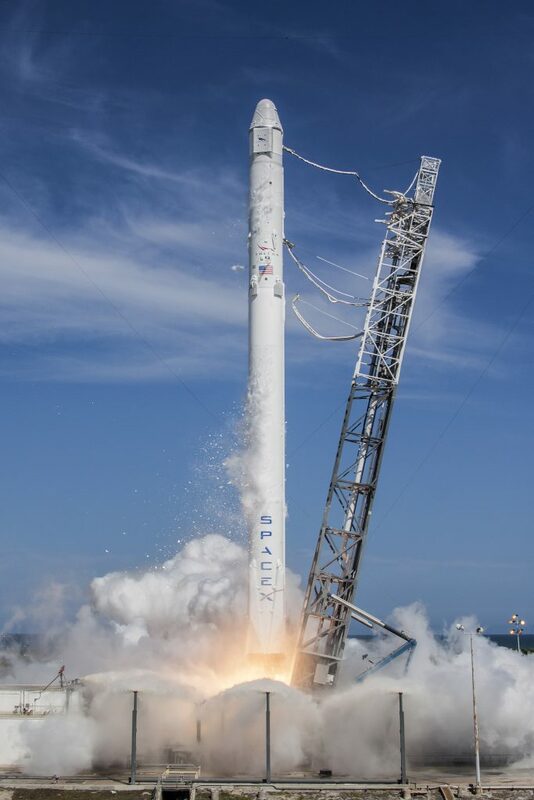 Falcon 9 came to life at 8:30 a.m. local time with all nine Merlin 1D engines soaring up to thrust while thousands of performance parameters were recorded to provide a comprehensive picture of the engines’ performance. After firing up for three seconds, Falcon 9 went through a controlled shutdown before heading into de-tanking. Data from the Static Fire was scrutinized in the afternoon hours to set up for a Launch Readiness Review to look at the status of all systems needed for Monday’s mission. No red flags were found and Falcon 9 and Dragon were cleared for flight. With Falcon 9 returned to a horizontal position, a portable White Room will be rolled up to the Dragon spacecraft to facilitate the late cargo loading operation during which Dragon will receive time critical experiment payloads that need to be maintained in controlled environments for as long as possible. The Falcon 9 will be raised to a vertical position by Sunday afternoon to enter its lengthy countdown. Weather is not expected to be getting in the way of liftoff with a 90% chance of acceptable conditions after a subtropical ridge moved out to the north. The only slight concerns for T-0 are cumulus clouds and Flight Through Precipitation. A backup launch slot has been secured for Wednesday at 4:00 UTC for which weather is currently showing 70% odds of favorable conditions. Lifting off after a ten-hour countdown operation, Falcon 9 will be set for a nine-minute climb to orbit, sending the Dragon spacecraft on its way to catch up with ISS in two days. The first stage will fire its nine engines for two minutes and 21 seconds before handing off to the MVac engine of the second stage, tasked with a burn of six and a half minutes to push the stack into a Low Earth Orbit. The second stage and Dragon will part ways nine minutes and 37 seconds after liftoff and Stage 2 is set for a deorbit burn to aim for a fiery demise in a corridor south of Australia. Though the primary mission of Falcon 9 is delivering the Dragon to a stable orbit, all eyes will be on the first stage and its adventurous return to the Cape, starting immediately after stage separation with a maneuver to flip the stage around to face its engines forward. Around a minute after separation, three of the rocket’s engines will re-light for a full boost back burn of 50 seconds to reverse the vehicle’s direction of travel to make its way to Landing Zone 1. A 20-second re-entry burn at T+6 minutes and 31 seconds will slow the vehicle down as it enters the dense layers of the atmosphere and shield the engine section from the extreme aerodynamic environment at Entry Interface. Flying through the atmosphere, the booster will use its four actuated grid fins to guide itself to the landing site. The center engine of the Falcon 9 will fire up seven minutes and 38 seconds after liftoff to slow the vehicle down for a gentle touchdown on its four legs that deploy during the final descent. For Dragon, its mission begins with the deployment of its two power-generating solar arrays before starting its climb to ISS with a series of engine burns. The spacecraft will approach ISS from behind and below until reaching a position straight below ISS for a methodical climb to its Capture Point, within reach of the Station’s robotic arm for grapple around 11 UTC on Wednesday to mark the start of a five-week stay.